The Netherlands has gained a new ambassador for internationalism in higher education with the appointment of Ingrid van Engelshoven as the new Dutch minister of higher education, culture and science. This is good news for Wittenborg University of Applied Sciences, which is one of the most international universities in the Netherlands, where at any time over 80 nationalities work and study together in one of the 3 locations: Apeldoorn, Amsterdam and Vienna. 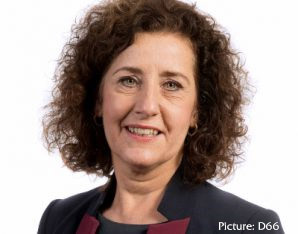 Van Engelshoven, from the social-liberal party D66, replaces Jet Bussemaker who was minister from 2012. Before joining parliament, Van Engelshoven was a councilor in The Hague where she was a big advocate for equal opportunities in education. The Dutch premier, Mark Rutte, presented his new cabinet this weekend after it took the new coalition government - comprising of the VVD, CDA, D66 and the CU - 7 months to reach a coalition agreement. Van Engelshoven joined the House of Representatives (Tweede Kamer) in March. In the run-up to the election she came out strongly in favour of internationalism. “It goes without saying. You would expect everyone to be for internationalism, but since there are a lot of promises being made, it might be a good idea to include it in the coalition agreement so it can be backed by funds,” Scienceguide reports. The coalition parties seem to have listened to this advice, as the new agreement promises more scholarships for students from outside the EU.